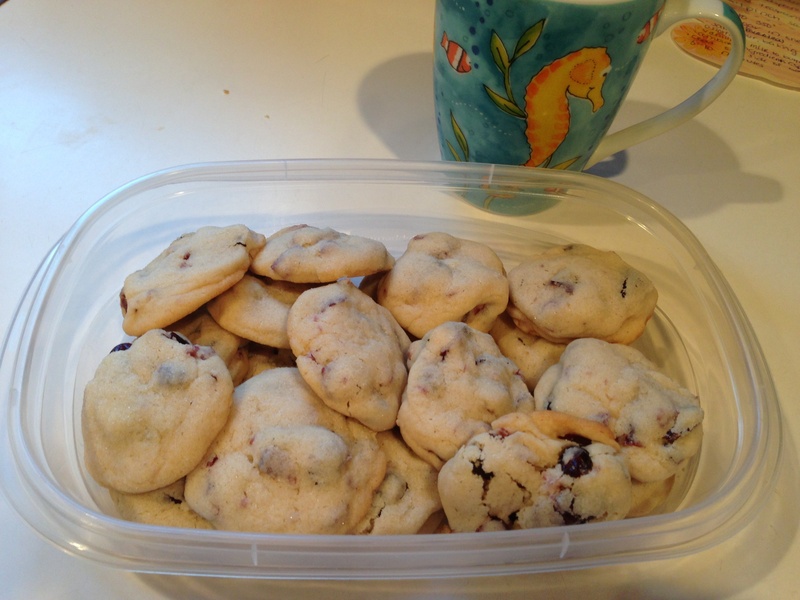 I returned home from teaching Jazzercise last night to the most delicious aroma — Catherine decided to unwind after a long day of chasing 4-year-olds in the heat by baking some cookies. She’d tweaked an egg-free sugar cookie recipe she found online (sorry, she’s not sure where she found it, and since she handwrote it, I’m not either) by adding some Craisins. Add vanilla and milk to butter/sugar mixture. Combine wet and dry ingredients by hand, using a spatula or wooden spoon. Roll cookies into quarter-size balls. Dust top of each with sugar. Bake 8-10 minutes until done, but not noticeably browned.